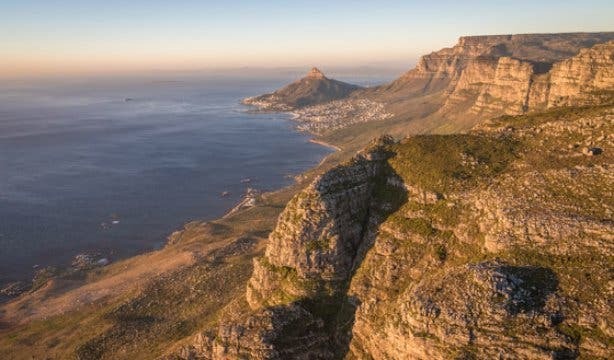 Once-in-a-lifetime helicopter flights in Cape Town. Ideal epic gift experiences for grandma, dad, family, friends or your partner on a special occasion. Plus, CapeTownMagazine.com readers get the Hopper flight for only R1260pp (that's a 10% discount) when using our secret link. Or get a 10% discount on ALL other flights with Cape Town Helicopters. Claim yours by using our unique booking code: FlyAirbus. Plus, if you combine a Cape Town Helicopter flight with an Ocean Experience, you'll get 15% off. Picture this. You’re at the V&A Heliport on East Pier at Breakwater Edge overlooking the Port of Cape Town. You’ve just completed your safety briefing. And the ground crew usher you out among the demarcated zones of Africa’s busiest helipad to a waiting Airbus helicopter (the newest and quietest choppers at the V&A Waterfront). Your pilot (who’s also a qualified tour guide) introduces themselves and advises you to hang on because the takeoff is one of the most exhilarating parts. And, of course, the pilot’s right. There’s that moment of uncertainty just before lift-off when you get that euphoric sensation in the pit of your stomach. And then, slowly, the craft rises and lurches forward, taking you up and out, over the waters of Table Bay. At the same time, the massive ships and container vessels miniaturise on the never-ending blue of the Atlantic below you. 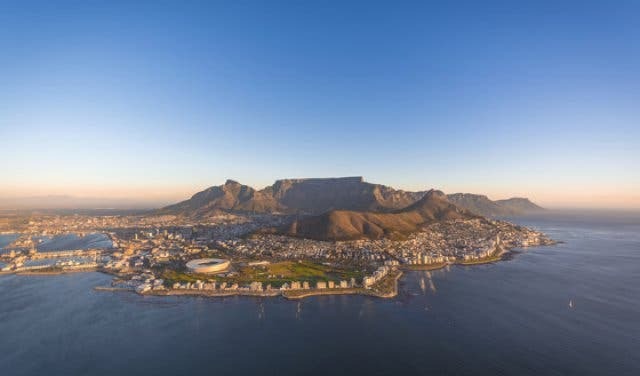 And then the pilot swings you around, and you get that incredible once-in-a-lifetime view of Cape Town city at the foot of Table Mountain from 1000 feet up in the air – and climbing. It’s Cape Town like you’ve never seen her before. 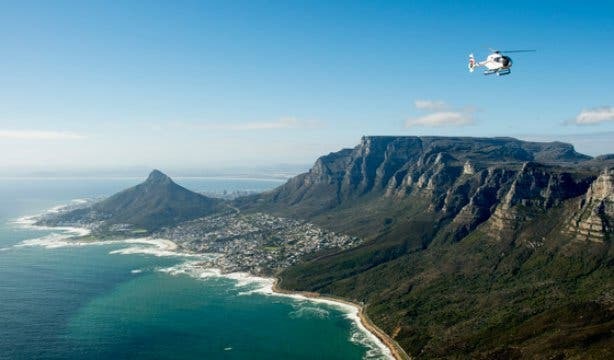 And it’s only the beginning of one of the most epic experiences (rated by TripAdvisor as one of the top 3 things to do) in the Mother City: a flip with Cape Town Helicopters. It doesn’t get much better than a helicopter trip across one of the most beautiful cities in the world, right? 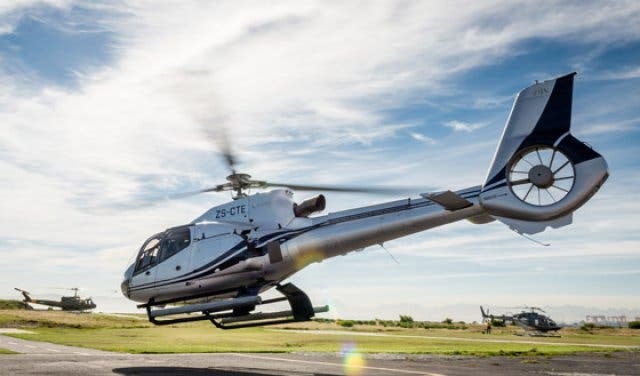 But here’s the best part: Cape Town Helicopters wants everyone to experience it, which is why they offer packages that, given the awesomeness of the experience, are more affordable than you might have thought. 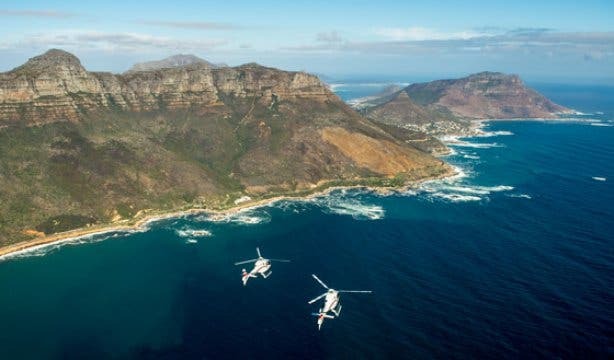 “We love Cape Town and we want everyone to experience it the way we do,” says Cape Town Helicopters’ commercial manager Herman Geldenhuys. “And, yes, we fly a lot of international and South African tourists. But we also like taking a local up to see their city from above. “It’s just magical. It changes your perspective of the city that you know and love. And that’s why we created experiences that are accessible to practically everyone," Herman adds. Despite Cape Town Helicopters ranking as the city’s number-one helicopter operator by TripAdvisor, a spectacular entry-level Hopper flight (not listed on their website, but you can call ahead to arrange it) in one of their state-of-the-art, quieter and more comfortable Airbus helicopters over the city costs just R1400pp (R1260 for CapeTownMagazine.com readers on our secret link). Which doesn’t seem all that much – particularly if it’s a special occasion – compared to the cost of a few meals out at a restaurant these days. Getting together as a group to chip in toward a R1260 flight to purchase the experience of a lifetime for a grandparent or beloved family member seems – all things considered – quite feasible. It’s the same for a group of friends: if everyone contributes one or two hundred rand, you can buy your bud a birthday present they’ll never forget. Another affordable flight is the full Atlantic Seaboard trip. The scenic Atlantico flight in an Airbus chopper comes in at R1800pp. 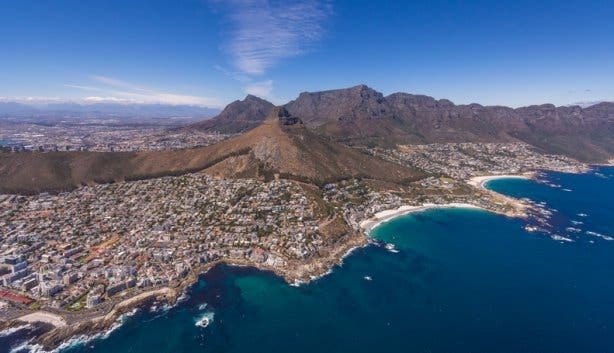 For this, you get all the best views of Cape Town, with a pilot that’s also a qualified tour guide (to highlight all the most interesting points along the way) on a slightly longer route all the way down to Hout Bay. 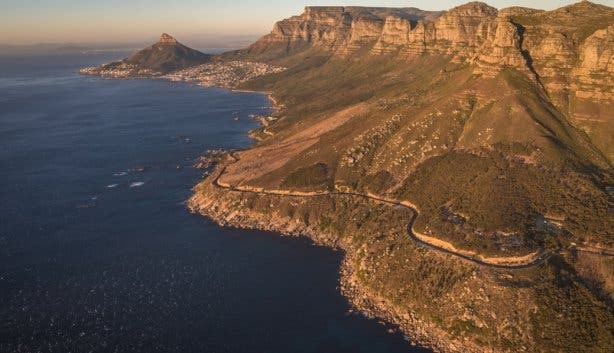 The Two Oceans tour takes you from the Atlantic to the Indian Ocean on the Simon’s Town side, while the Full Peninsula includes a trip to the Cape of Good Hope, offering the most Instagrammable shots of Cape Point. And take note: If you’re looking to propose, Cape Town Helicopters have a 100% “yes” record on their famous “engagement flights”. So, plan a little and phone ahead to let the guys know you want to pop the question and they’ll help you make it a really memorable flight. Of course, the proof’s in the pudding. So check out what some of the people who’ve experienced these flights have said in their online reviews. “This has been on my bucket list for ages, and it exceeded my expectations a thousand fold! Lisa was an amazing pilot and went the extra mile, (literally) spotting whales, Table Mountain dams and more. This is a must-do and I'll definitely be coming back. Only CapeTownMagazine.com readers get the Hopper flight for a mere R1260pp via this secret link. Tip: Make it a family affair – one child under 12 flies half-price if flying two full paying adults. If it’s a romantic experience you’re after, see our ideas for things to do as a couple in Cape Town and romantic experiences in the Mother City. And, in terms of gifting, also check out our guide to Mother’s Day in the city.